• lose some more weight…get down to 170 – GIANT SUCCESS! I’m well down into the 160’s now. Almost to my goal weight! • continue to strength train twice a week, 2 exercises each upper and lower body – SUCCESS! I get to the gym 2-3 times a week and get my 2 upper and 2 lower or 2-4 core exercises done and I’m really loving it and seeing some definition in my muscles! • work on conquering the treadmill and use my new 90 Treadmill Workouts book – HALF SUCCESS. I haven’t used any of the workouts from the book, but I have hit the ‘mill a few times and it’s not so bad so long as I don’t set the speed too fast. • try doing some runs after work – FAIL. Just haven’t made it to run after work. It’s been decent in the mornings, so not really necessary at this point. • continue to limit “treat” foods – GIANT SUCCESS! I also tracked everything I put in my body down to single pieces of sugar free candy. Super proud of myself. • hit 10K+ steps every day – SUCCESS! • cycle long (10+ miles) once a week when possible, try to cycle to and from the gym and for local errands (if the situation allows) – PARTIAL SUCCESS. I think I cycled more than 10 miles on one occasion. Only cycled twice total. • maybe add the occasional swim to my workouts, once a week if possible – FAIL. No swims at all in June. Overall, I’d say I did pretty fantastic in achieving what I set out for myself to do in June. The things I failed to do at all or failed to do fully really weren’t that big of a deal. 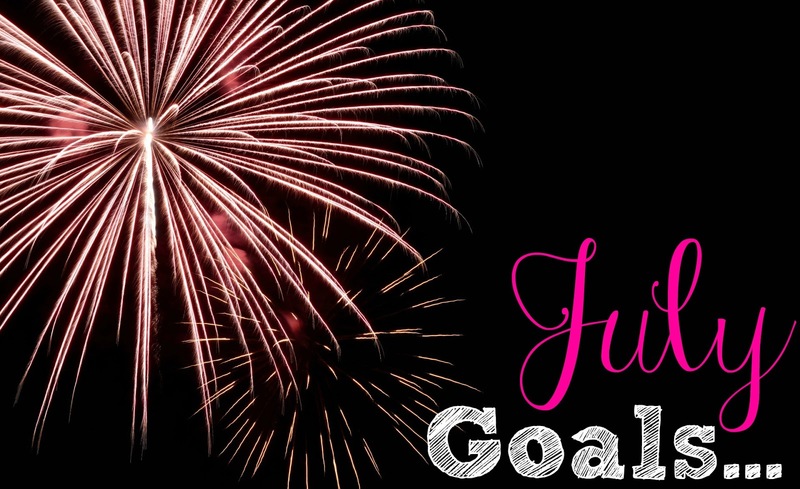 And, now, let’s check out what I want to accomplish in July! These are pretty much the same goals as June, with a few tweaks and adjustments due to progress made.